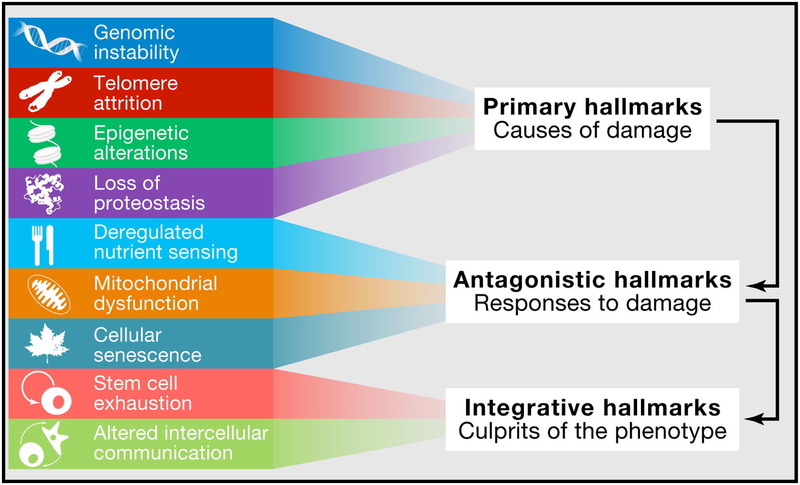 Summary: The hallmarks of aging is a landmark paper which pinpointed the underlying causes of aging and spurred geroscientists to develop lifespan-extending drugs. This report provides an update of some of the significant accomplishments in longevity research since the paper was published. [This article first appeared on the LongevityFacts.com website, Author: Brady Hartman. What causes us to grow older and succumb to ill health? Most of us want to live extra decades, as long as these years are spent in good health. Anti-aging researchers have made tremendous advances in not only understanding the aging process but also ways to slow it down and help us live longer free from chronic disease. 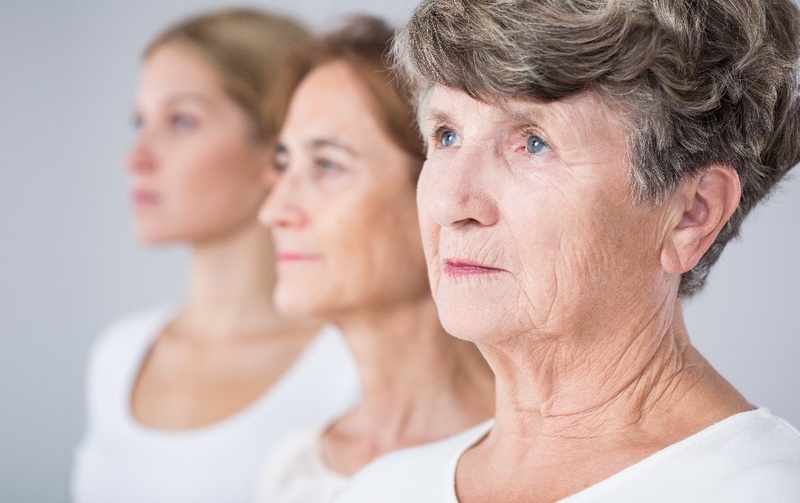 An important milestone came in 2013, when a group of authors led by Carlos López-Otin, Professor of Biochemistry and Molecular Biology from the Universidad de Oviedo in Spain, published a landmark study called the Hallmarks of Aging. The paper has become one of the most widely-quoted and highly regarded papers in the scientific community and spurred many scientists to conquer the aging problem. Since the paper was published nearly five years ago, a new breed of researchers called geroscientists have made sizeable advances in developing anti-aging drugs and bringing them to the clinic. By systematically understanding and then attacking the aging process, geroscientists are hoping to give us extra years of life that we could spend relatively free from the chronic diseases that accompany old age such as cancer, heart disease, and neurodegenerative diseases such as Alzheimer’s, Parkinson’s and other forms of dementia. The Hallmarks of Aging. © 2013 Elsevier Inc. Source: Lopez-Otin(2013) via ScienceDirect. The biological processes underlying aging are complex and interrelated. By understanding the hallmarks of aging in greater detail, geroscientists can get closer to the goal of developing interventions that retard the aging process. López-Otin defined the hallmarks based on how well they meet specific criteria, such as a) a particular hallmark must manifest itself during normal aging; b) if researchers experimentally aggravate the hallmark it should accelerate aging and finally, c) preventing or blocking the hallmark should retard aging, resulting in increased lifespan. López-Otin categorized the hallmarks of aging into three groups. The primary hallmarks of aging are the foundational causes of cellular damage. The antagonistic hallmarks of aging are also known as response hallmarks. Finally, the integrative hallmarks of aging are a result of the damage caused by the first two groups. The primary hallmarks are also called the foundational hallmarks of aging. 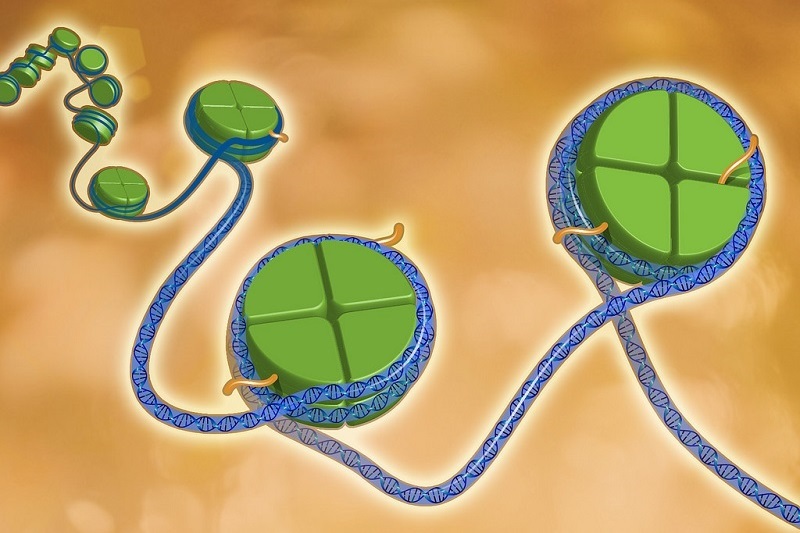 Except for epigenetic alterations and programmed telomere shortening, these hallmarks involve macromolecular damage to the components of the cell. The hallmarks are not independent, and one often impacts the others. For instance, epigenetic alterations can affect protein stability, contributing to the hallmark of aging known as loss of proteostasis. Genomic instability is one of the hallmarks of aging. A related article explains DNA damage. Credit: Getty Images. DNA damage occurs all the time, and our cells have repair mechanisms to correct these errors. As we age, however, our repair mechanisms fail to correct this damage, and mutations accumulate, leading to aging and disease. Cumulative DNA damage leads to genomic instability, a foundational hallmark of aging. 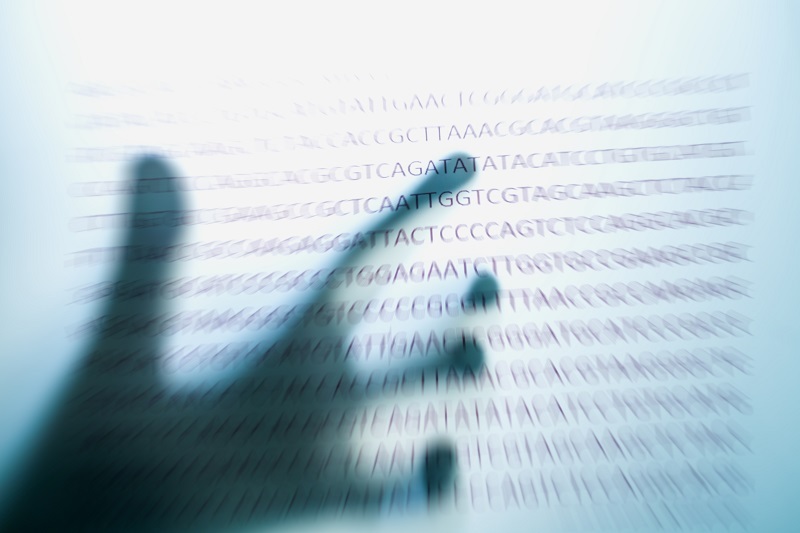 The human genome contains 3 billion base pairs of DNA. Each of our cells takes a DNA damage hit at the rate of 10,000 to 1,000,000 molecular lesions per cell per day. Our bodies have DNA repair processes to catch these errors. However, as we grow older, our DNA repair systems become less efficient and unrepaired chromosome lesions slip through the cracks. These errors add up as we age, increasing the incidence of diseases such as cancer. It’s not just growing older that can inhibit DNA damage. Our lifestyles can also hinder DNA repair, including factors such as disrupted sleep patterns or stressors such as chronic alcoholism. Furthermore, some scientists suspect that yet to be discovered mechanisms are responsible for failing DNA repair, possibly an epigenetic clock. To restore the body’s DNA repair mechanisms, Dr. David Sinclair has discovered that boosting levels of NAD helps maintain DNA repair in mice. In a recent interview, Dr. Sinclair tells how nicotinamide mononucleotide (NMN) helps repair DNA and rejuvenates mice by boosting NAD levels. In the last five years, the major accomplishment is that researchers are now conducting clinical trials of NMN. Telomere attrition is one of the hallmarks of aging. Credit: Shutterstock. Looking very much like the plastic tips on the ends of shoelaces, telomeres are the protective caps on the tips of our chromosomes. They progressively wear down as we age, and telomere attrition is a primary hallmark of aging. Telomeres are repeated patches of DNA that maintain the stability of our chromosomes and protect our genetic data. Telomeres also act as a biological clock in our cells. Each time a cell divides, its telomeres get shorter, until the cell either undergoes a form of cell death called apoptosis or becomes senescent. Unfortunately, when telomeres wear away – due to aging or environmental stresses – our DNA becomes vulnerable to degradation. Shorter telomeres cause genomic instability and may contribute to developing cancer. To repair telomere breaks, some of our cells use an enzyme called telomerase to rebuild the shortened ends. Our bodies have two types of cells: regular cells which have a limited lifespan and stem cells which are immortal. Rank and file cells do not use telomerase, while immortal cells do. Because the degradation of these protective caps is a primary hallmark of aging, geroscientists are looking at ways they can lengthen our telomeres to lead longer, healthier lives. In fact, using RNA therapy to lengthen telomeres, one doctor was able to extend the lifespan of human cells in culture. 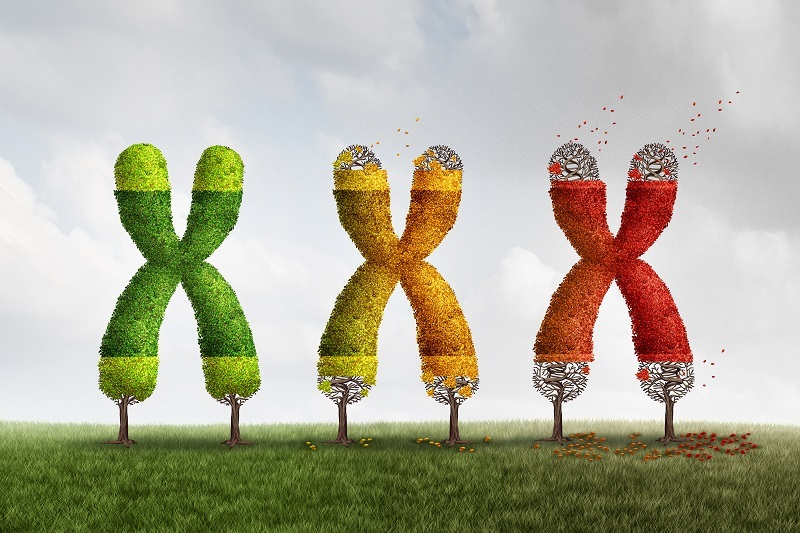 As a recent report on telomeres and telomerase shows, very little progress has been made in telomere therapy since the publication of The Hallmarks of Aging. 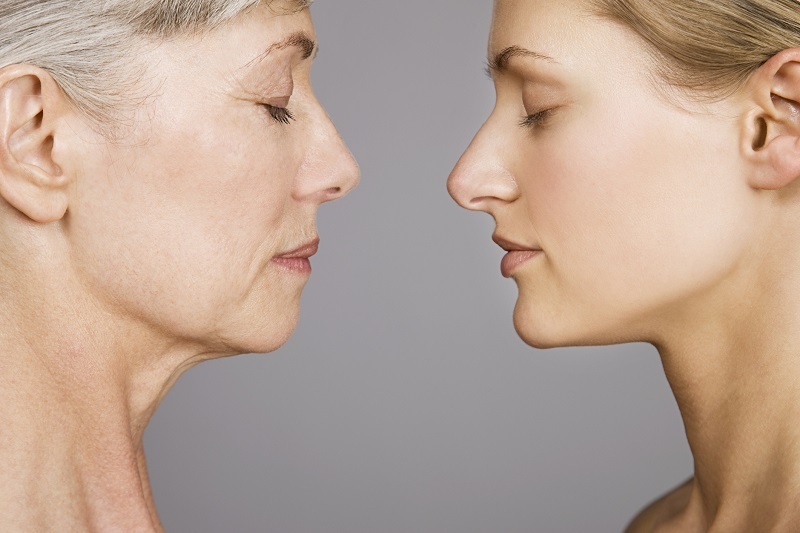 Epigenetic changes are an important hallmark of aging and have received much attention lately. Researchers recently discovered epigenetic clocks that may control how we age. Since the publication of López-Otin’s report, the epigenome has been in the spotlight, because it may contain a clock which dictates the aging process. Just this past month, geroscientists discovered two human aging clocks, a genetic aging clock in the brain, and a master clock in the epigenome that controls aging in the body. Since the publication of The Hallmarks of Aging, scientists have made significant progress in understanding the epigenome, but little progress developing potential therapies. The changeability of the epigenome, as well as the recent discovery of epigenetic clocks, makes this hallmark of aging a potentially druggable target. Geroscientists hope to develop drugs that can reverse epigenetically-driven diseases and maybe the aging process itself. Related Topic: New discoveries on the role of epigenetic changes in aging. Loss of proteostasis is a hallmark of aging. Credit: Getty Images. The decline in the protein quality of our cells, called the loss of proteostasis, is a fundamental hallmark of aging. Our bodies have defenses against cellular stress. However, after decades of repeated assaults by stressors such as free radicals and other toxins, the proteins in our cells become damaged or misfolded. Toxins are a significant source of disease and aging. For example, researchers have shown that free radicals in polluted air are particularly toxic, contributing to multiple age-related diseases. For example, a major study published a few days ago in the Lancet medical journal attributes one of out every six premature deaths worldwide in 2015 to disease from exposure to environmental toxins in the air and water. In younger cells, our autophagy housekeeping system clears out these unfolded proteins. However, in aging cells, our autophagy janitorial services degrade, and our lysosomes become less efficient at eliminating this cellular toxic waste. Geroscientists finger the decline in autophagy as a significant contributor to disease and aging, making the loss of proteostasis a primary hallmark of aging. The damage accumulates over the decades, and the mechanisms responsible for maintaining proper protein composition begin to decline. Proteins lose their stability, autophagy quality-control processes start to fail, and misfolded proteins accumulate, in a process known as cellular garb-aging. Misfolded proteins form aggregates which sometimes produce disease. Amyloid proteins are an example of such aggregates, and play a prominent role in neurological conditions such as Huntington’s, Alzheimer’s, and Parkinson’s disease. Maintaining protein quality control is essential to health, and geroscientists are looking at ways to improve autophagy. Misfolded proteins also produce chronic inflammation. In a vicious cycle known as inflammaging, this build-up of cellular garbage increases the production of pro-inflammatory chemicals in our tissues which generates chronic inflammation throughout the body. This chronic, low-grade inflammation further accelerates the aging process. Related report: Learn more about the role of cellular garbaging in aging. Also known as response hallmarks, the compensatory hallmarks are physiological changes which come about as a result of the primary hallmarks. If geroscientists can stop the primary hallmarks of aging, then, in theory, it would reduce these response hallmarks. Metabolic changes are one of the hallmarks of aging. Credit: Getty Images. As we grow older, metabolic changes lead to deregulated nutrient sensing, a compensatory hallmark of aging. We have multiple nutrient sensing pathways to make sure that our bodies take in just the right amount of nutrients – not too much, not too little. However, the accumulated decades of assaults damage our nutrient-sensing pathways. Metabolic activities can put stress on our cells as well. Too much food intake or the wrong nutrient composition causes our cells to age faster. As we age, the hypothalamus also becomes dysfunctional, encouraging us to eat more than the body needs, leading to metabolic syndrome, obesity, and type 2 diabetes. To make things worse, obesity and diabetes provoke chronic inflammation which can further deregulate our nutrient-sensing systems. Because metabolic pathways are intertwined with longevity pathways, geroscientists have focused on them in their search for anti-aging treatments. Calorie restriction continues to be a leading anti-aging intervention. 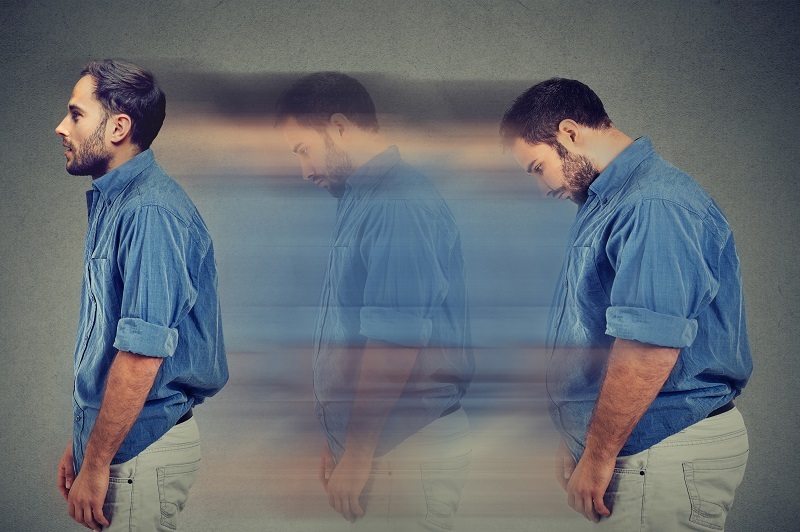 Researchers have high hopes that calorie restriction and forms of intermittent fasting such as the fasting mimicking diet can extend human lifespan. As a report on the fasting mimicking diet (FMD) shows, researchers have demonstrated that the FMD leads to improvements in health biomarkers as well as weight loss. Intermittent fasting is not for everybody. Researchers have identified several promising drug candidates that slow the aging process according to a recent report on the metabolic changes of aging. As our cells age, the mitochondria start to lose their integrity due to the build-up of free radical damage. Degraded mitochondrial function leads to decline in our cells and tissues and an increase in a type of cell death known as apoptosis. 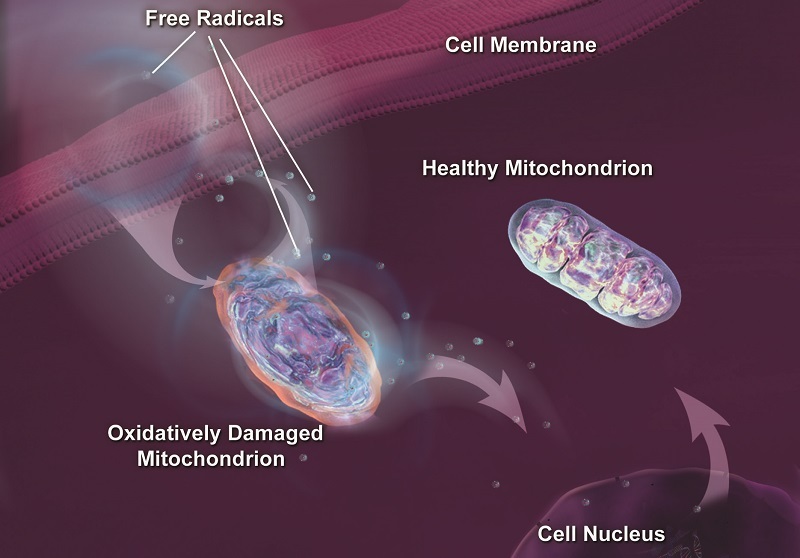 Damaged mitochondria produce even more free radicals which damage the mitochondria even further, leading to a weakened body. This mitochondrial decline is especially noticeable in tissues with high energy demand such as the heart or the brain. 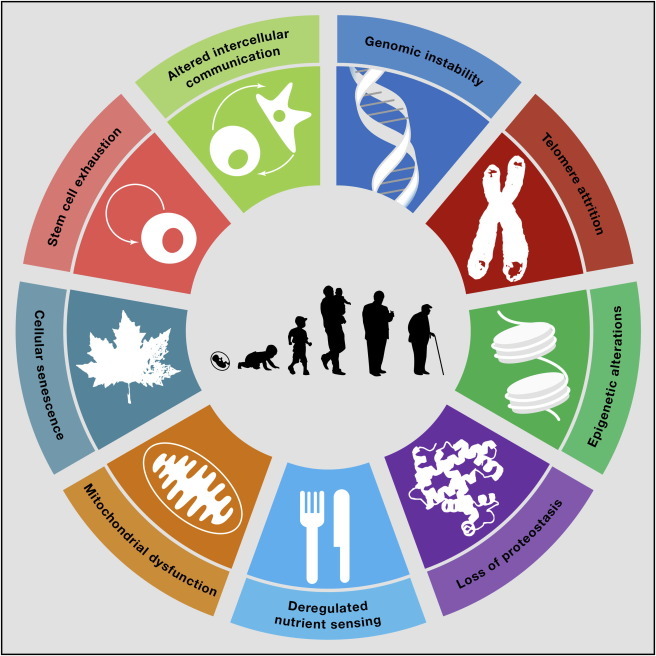 Since the publication of the Hallmarks of Aging, geroscientists have placed greater attention on the mitochondrial role in the metabolic changes of aging, with a special focus on mitochondrial sirtuins. Related Topic: Learn more about what scientists are doing to fight mitochondrial decline. Cellular senescence is a hallmark of aging. Credit: Getty Images. As our cells age, they lose their ability to divide and become senescent. Researchers define cellular senescence as the point at which our cells stop dividing due to damage or lack of supplies. When we are young senescent cells are thought to be cleared by the immune system, but when we are older, they stick around secreting inflammation-stoking molecules that damage our bodies further. Because cellular senescence is an important hallmark of aging, geroscientists have developed compounds which clear senescent cells from the body. When fed to mice, these compounds called senolytics rejuvenated old mice, making them look and act like younger ones. Since the publication of López-Otin’s paper, scientists have made tremendous progress in developing senolytics. As a recent report on senolytics shows, geroscientists have discovered seven compounds which clear senescent cells and slow the aging process. Several of these compounds are slated for clinical trials. The integrative hallmarks of aging incorporate the first two groups and ultimately lead to the functional decline we all observe in aging. If geroscientists can stop the primary and compensatory hallmarks of aging, then, in theory, it would have downstream effects in reducing the integrative hallmarks. Stem cell decline is a hallmark of aging. Credit: Getty Images. As we age, our stem cells eventually lose their ability to divide, leading to stem cell decline as an integrative hallmark of aging. As our stem cells go into decline, our bodies are unable to replace the stem cells that have migrated, differentiated, or died. As a result, we show outward signs of aging and an increase in age-related disorders. Stem cell decline comes about as the result of many of the other hallmarks of aging, including DNA damage, deregulated nutrient sensing, senescence, and other degrading processes. Because stem cell exhaustion is an important hallmark of aging, geroscientists are looking for ways to address it. 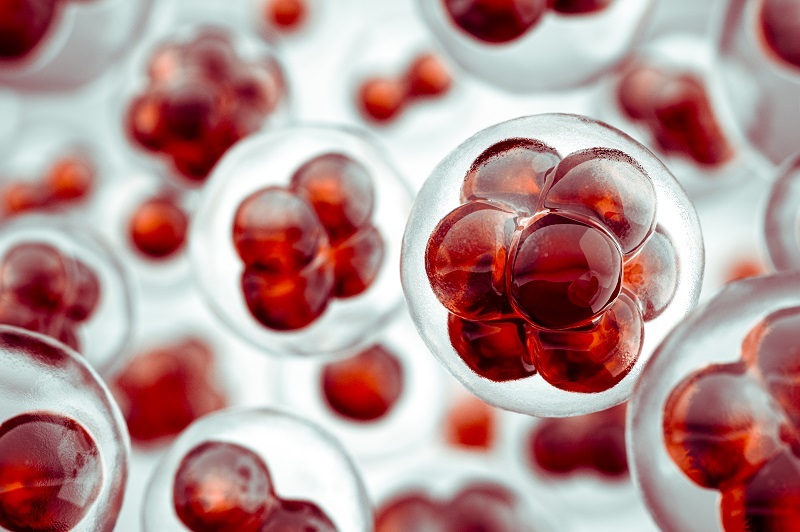 According to a recent report on stem cell decline, scientists may have come up with promising ways to rejuvenate stem cells. Inflammaging is one of the hallmarks of aging. Credit: Shutterstock. 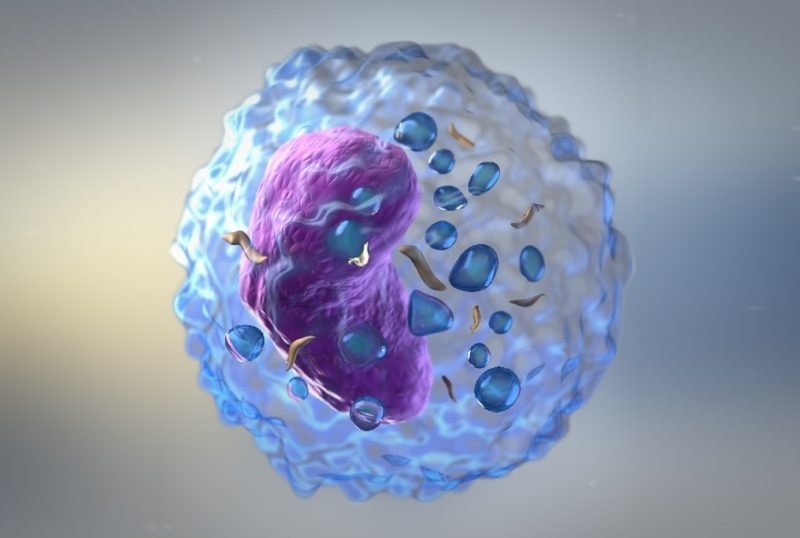 As our cells grow older, their communication with other cells becomes dysfunctional leading to an increase in chronic inflammation and unhealthy hormonal changes. The aging cells in the organs play havoc with the body, changing the quality and quantity of hormone instructions they transmit throughout the body. For example, the aging hypothalamus changes neurohormone signals, which in turn affects food intake and metabolism. Since the hypothalamus also regulates sleep cycles, these changes can inhibit DNA repair, accelerating aging even further. As cells age, they increasingly produce inflammatory distress signals that damage other tissue. For example, senescent cells produce buckets of inflammatory compounds that damage the tissues. Geroscientists define inflammaging as the imperceptible chronic inflammation that accompanies aging. 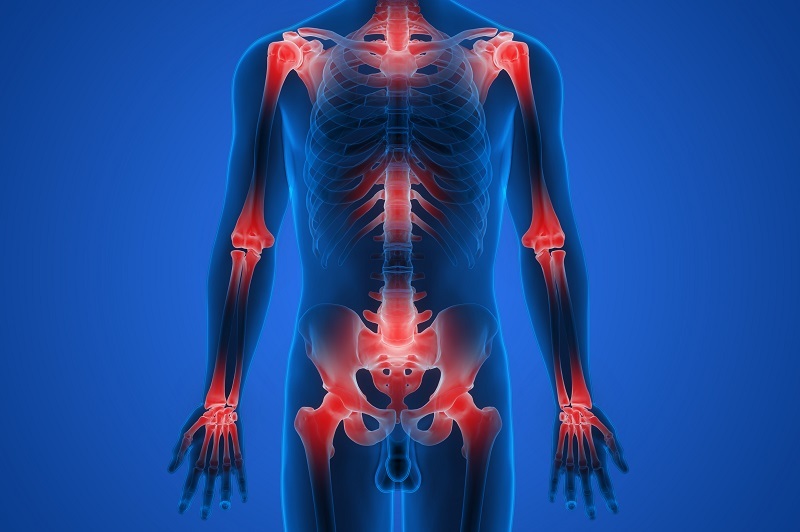 Inflammaging is persistent and low-level, unlike acute inflammation which is short and sharp. Inflammaging wreaks havoc throughout the body, increasing dysfunction and disease. Researchers have made progress in this area, with the announcement of the successful clinical trials of a promising new drug called Canakinumab that slashes heart attack and cancer, by dampening inflammaging. Related Topic: What causes the chronic inflammation of aging known as inflammaging. Can We Reverse These Hallmarks to Prevent Disease? Since the publication of López-Otin’s landmark report, geroscientists have reached a greater understanding of the complex processes underlying the hallmarks of aging. And while geroscientists have made progress in many areas in the last five years, the most significant accomplishment is that several anti-aging drugs have entered into clinical trials to test their lifespan-extending powers. These include the much-heralded rapamycin, the diabetes drug metformin, one senolytic drug combination and the NAD-boosting molecule nicotinamide mononucleotide (NMN). Tell us what you think – We love comments. Diagnosis, Treatment, and Advice: This article is intended for educational and informational purposes only and is not a substitute for qualified, professional medical advice. The information and opinions provided herein should not be used during any medical emergency or for the diagnosis or treatment of any medical condition. Experimental therapies carry a much higher risk than FDA-approved ones. Consult a licensed and qualified physician for the diagnosis and treatment of any and all medical conditions. Call 911, or an equivalent emergency hotline number, for all medical emergencies. As well, consult a licensed physician before changing your diet, supplement or exercise programs. Photos, Endorsements, & External Links: This article is not intended to endorse organizations, companies, or their products. Links to external websites, mention or depiction of company names or brands, are intended for illustration only and do not constitute endorsements.